If you want one company to professionally clean your home or office from top to bottom, from professionally cleaning your carpets to restoring your oven to 'as new' condition then you need us at Life Maid Easy. Why Choose Life Maid Easy Cleaning? Request your no obligation carpet cleaning estimate now and we'll get back to you within the same working day. See your carpet transform before your eyes! You will literally feel the difference under your feet. Pre Steaming vacuum with our HEPA Filtration Vacuum System that extracts 99% of all dust bacteria, allergens, fur and pollen and makes it easier to professionally steam clean your carpets after your one-off clean. Steam cleaning or 'hot water extraction' of your carpet by spraying hot water and steam into your carpets then sucking the dirt particles and grime away with a high powered vacuum. Steam cleaning is universally recommended as the best method for cleaning your carpet by experienced carpet cleaners and manufacturers. Fast drying time - Our method of steam cleaning uses just enough water to restore your carpets without bogging down your carpet with excess water that can lead to mildew. You can walk on your carpet immediately after the clean although it will be a little damp. Within two to eight hours your carpet will be completely dry. Environmentally friendly carpet cleaning products - All cleaning agents we use are biodegradable, non-allergenic products that leave no odour or chemical residue. These eco-friendly cleaning agents are the best bet if you have a young family or pets who get up close and personal with your carpet. Carpet stain removal - Our expert carpet cleaning technicians can remove fresh stains inside 15 minutes and leave your carpet looking like it was before. Please let us know of any tough stains you have when you book. Our Diamond Standard Satisfaction Guarantee - If you are not amazed with the smell, look and feel of your professionally cleaned carpets then we will return within 24 hours to put it right free of charge. How soon can I book in a carpet clean? Can you clean my carpets on the weekend? How much will it cost for a professional carpet clean? How do you compare with specialist carpet cleaning companies on price? How long do you need to clean my carpets? What carpet cleaning products do you use? If its urgent and you're flexible with the time of day the clean is scheduled we can book you in within 24 to 48 hours. If you would like your home cleaned at the same time then you may have to book a 3-4 days ahead to ensure our team can made available for your clean. Yes, we do clean on Saturday and Sundays. However you will have to secure a booking during office hours which is from Monday to Friday between 9:00am and 5:00pm. It depends on the size and cleanliness of your carpet. 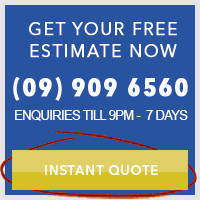 Please call our office on 09 909 6560 for a no obligation phone estimate. We're not the cheapest carpet cleaning service in Auckland. This is by design. Using environmentally friendly products, vacuuming your carpets and taking the extra time to clean dirty or 'hard to get to' areas means we will charge a little more than the lowest price carpet cleaners you can hire. But if you want a top quality carpet clean by carpet cleaners you can entrust your home with, that uses safe cleaning products rather than harsh chemicals then the extra investment is well worth it. Have at least 10 positive reviews from real customers. The time needed depends on your home and the current cleanliness of your carpets. For a typical three bedroom home two hours would be needed. Two to eight hours with the steam cleaning method of carpet cleaning (recommended). With this method you will be able to walk on the carpet immediately after being cleaned although it will still be a little damp. Using a heater, dehumidifier or opening nearby windows and doors will speed up the drying process. For small, easily moveable items like coffee tables and chairs, we'll move these to another area. Its best to wait until the carpets are dry (typically one hour) before moving them back to their original spot. This avoids damaging the carpet while its still wet. For larger items like lounge furniture, we clean around and under these items rather than moving them for safety reasons. You're welcome to move these items before or during the carpet clean to ensure we clean every square inch or your carpet. We recommend and use eco-friendly carpet cleaning products that are biodegradable and non-allegenic.